like Christmas? What? Have you been to the stores lately? I haven't but from what friends have told me ... the Christmas season is in full swing. I know it is at my home! I may have spent this week putting out Halloween and fall decorations but I am working on Christmas cards. Why? Because I plan to send out 60 of these! Yes! SIXTY! I also want to see if I can get one last card in for Raisin Boat's 3D Challenge. I hope I make the deadline this time! Here is one I made tonight. I am starting the graveyard shift tomorrow night so I am desperately trying to stay awake tonight so I can sleep tomorrow afternoon. Not sure I will be able to do it because let me tell you something ... I AM SLEEPY! Yes I am! :-\ I thought I might could stay up making Christmas cards but after making four ... identical ... I am wiped out! Glitter everywhere... sticky fingers... black ink on nails... yup! I am ready to call it a night! Maybe I will just take a power nap... :-\ Who are we kidding?!? Anyway ... here is my Christmas card from tonight. 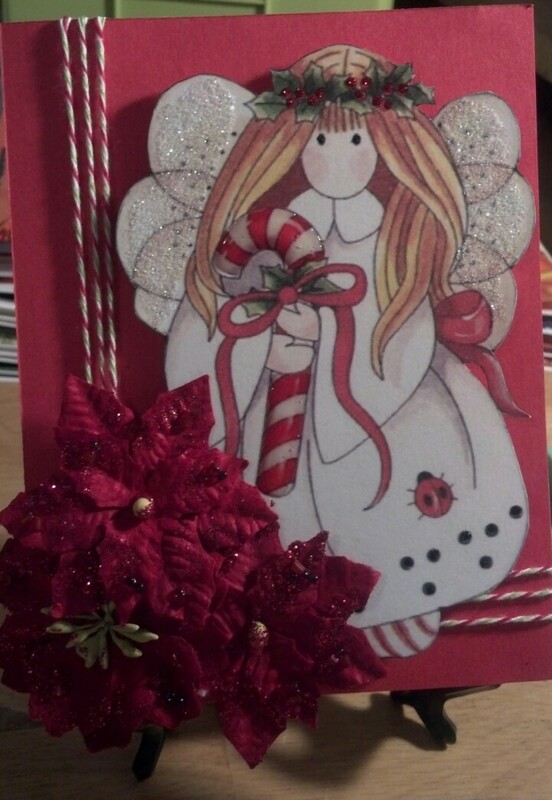 I used a printable image of an angel and my Christmas tri-color twine. :) I used Black Diamonds and Xmas Red Stickles on the bottom of the angel's gown, her eyes and the berries on her crown, respectively. I also used Ranger Glossy Accents on the candy cane to make it glimmer. Finally I used Art Glitter on the angel's wings. I added some poinsettias from Michael's dollar bin. The angel is attached with foam dots. She pops up off the card. I like how it came out. :) What do you think? 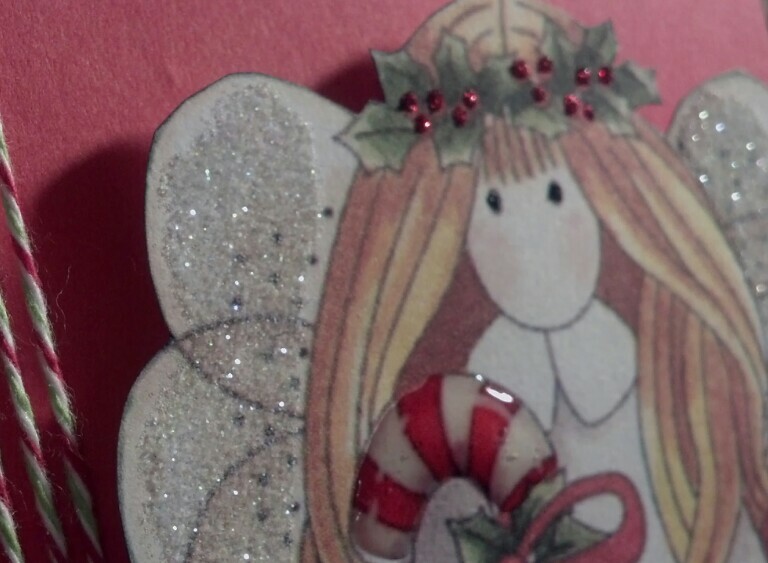 Here is a close up of the angel's bling! ;) lol I really wanted to add more bling but I didn't know how. Really a beautiful card. I love the angel. So beautiful! 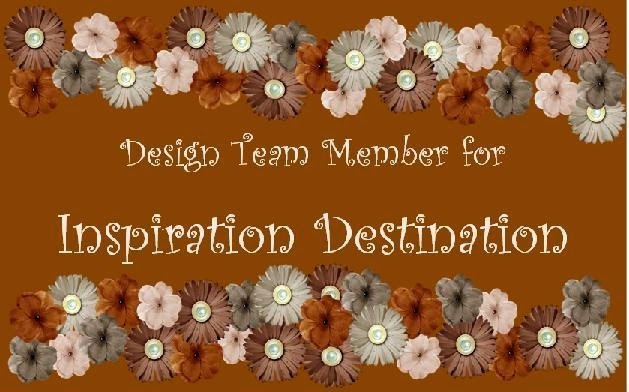 Thanks for all your entries in the challenge this month.